When most people hear “survey”, they imagine a page or series of pages filled with rating scale questions asking them if they strongly agree or disagree. And we can’t blame them. Despite the available technology, most surveys are imitations of the good-old paper questionnaire. Now, don’t get us wrong, for many purposes this format works but don’t underestimate the power of videos and images. Multimedia engages an audience and can contribute to a coherent brand that is more likely to be remembered. 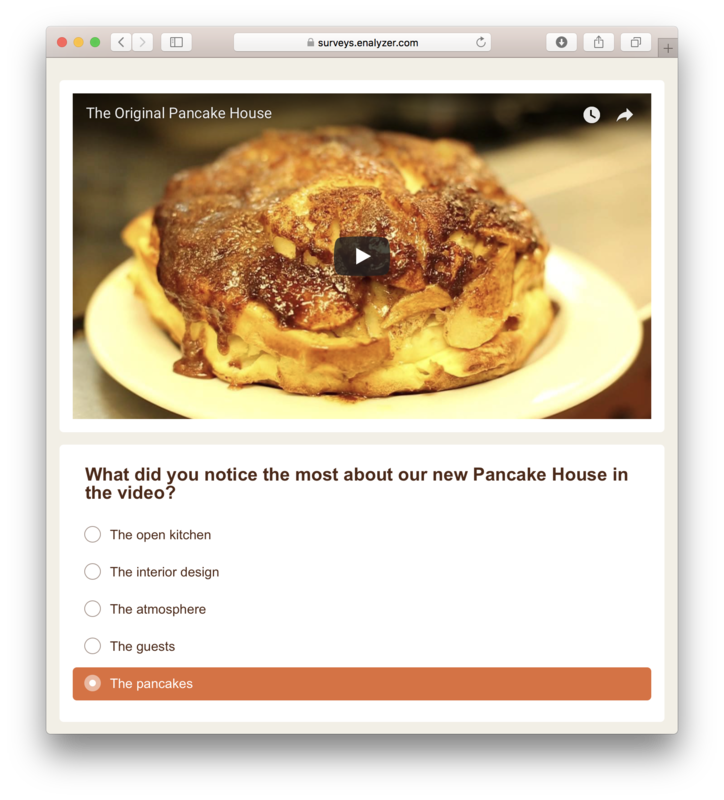 Enalyzer offers many ways to add videos and images to your surveys. To engage respondents with the subject of your survey, you can present questions in a more colorful and interactive way. With Enalyzer, you can add image choice questions which allow you to add images as response options serving as a great alternative to multiple choice questions. Instead of a basic scale from 1-7, with Enalyzer, you can have a rating scale that features icons such as stars, smileys, and hearts. If you’re asking respondents to rate movies or a restaurant, they might be more inclined and engaged if they can provide a 5-star rating than just clicking on “I really liked it”. Questions can benefit from a visual component, actually, adding multimedia to your online surveys can improve your response rate, represent your brand, engage your audience, and more! If you think images can convey complex messages, the power of videos will blow your mind. For example, you can add training videos and test your respondents based on those or you can showcase your branding videos and receive feedback from test groups. With Enalyzer, you can add videos and images as independent elements and match them with one question or a series of questions. One of the many benefits of adding videos to your survey is that it allows participants to stop and rewind so they can give feedback as they go. 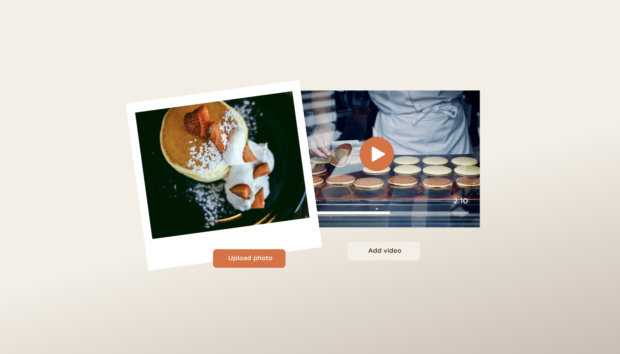 Make your reports more attractive with images and videos. Adding your company’s logo or an introductory picture can take your report from simple to professional in seconds. You can also make them more interactive with videos, for example, if you added a video showing your website when surveying respondents, you can add the same video to your report, so report readers can understand the context of the feedback they’re about to read. Before respondents read an introduction to your survey or any of your questions, they will see your invitation and survey design. These are just as important as everything else. 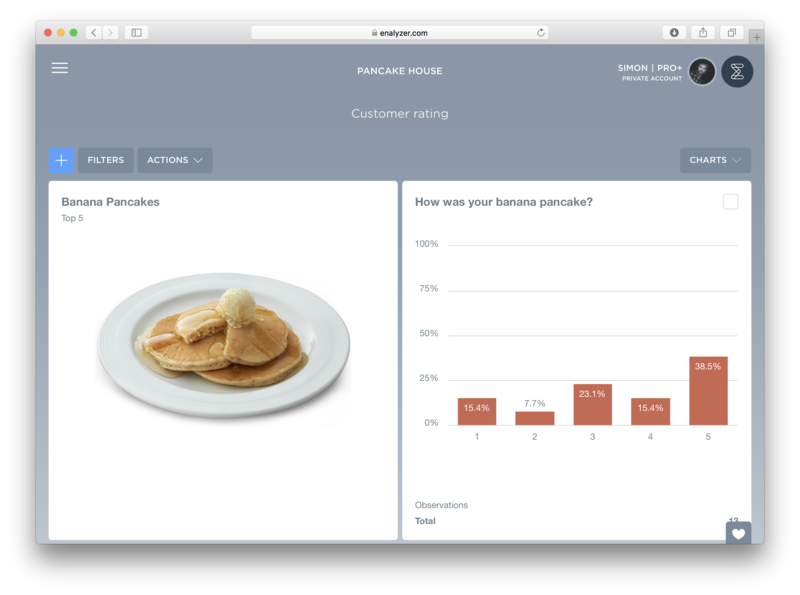 With Enalyzer, you can create nice, clean and uncluttered survey invitations and reminders. You can also make your surveys look professional and stand out with background images, logos, colors, and fonts. With the design possibilities, you can create professional looking surveys with Enalyzer that make a lasting impression. These will engage your audience from the start, ensuring a higher probability of your respondents completing your survey. 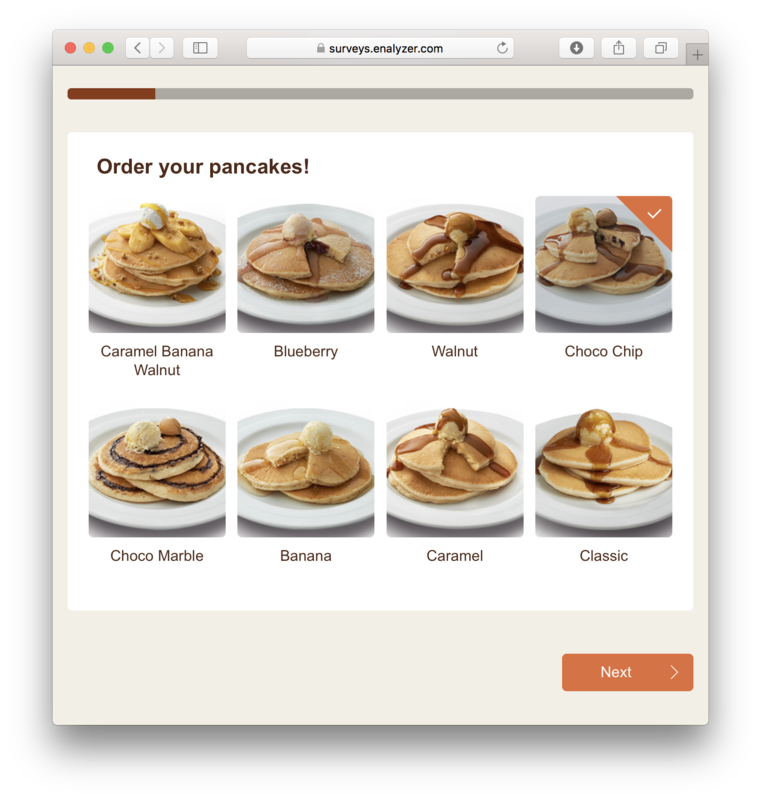 Enalyzer is 100% responsive, which means it adapts to any and all screen sizes, this includes your logo and any multimedia you’ve added to your survey. → Create a FREE account!